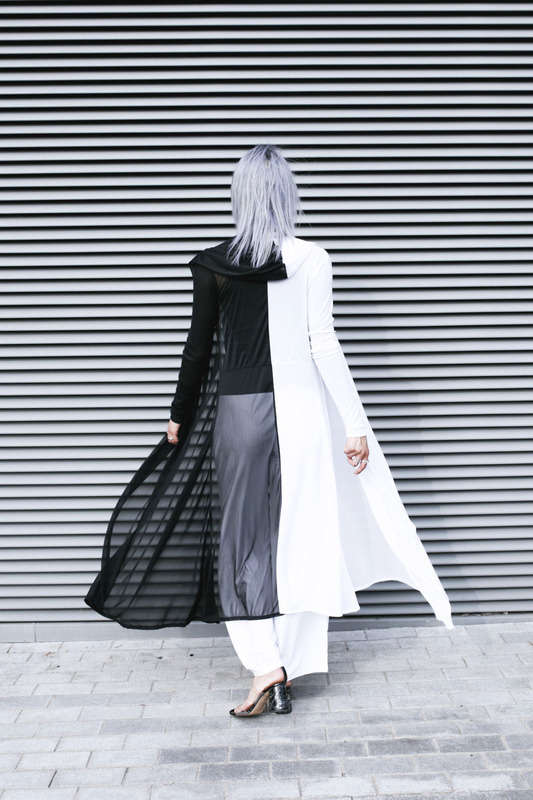 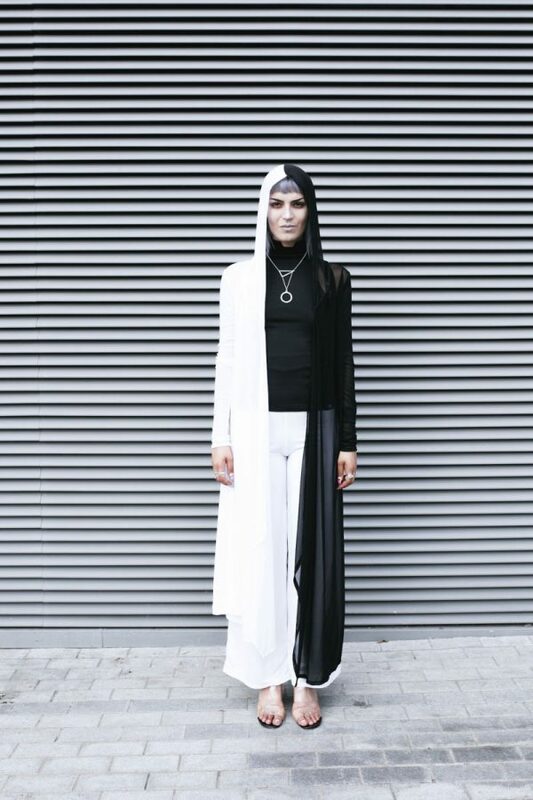 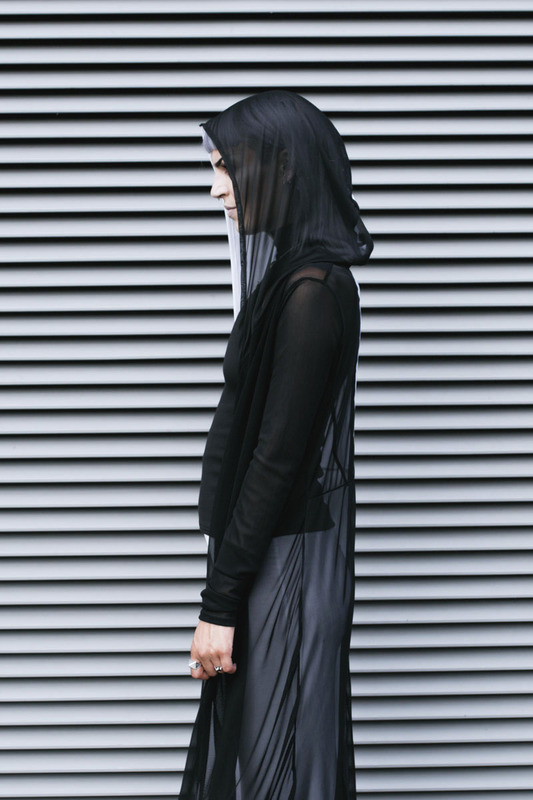 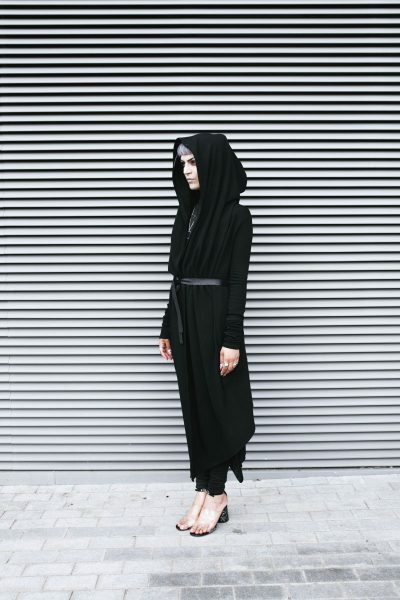 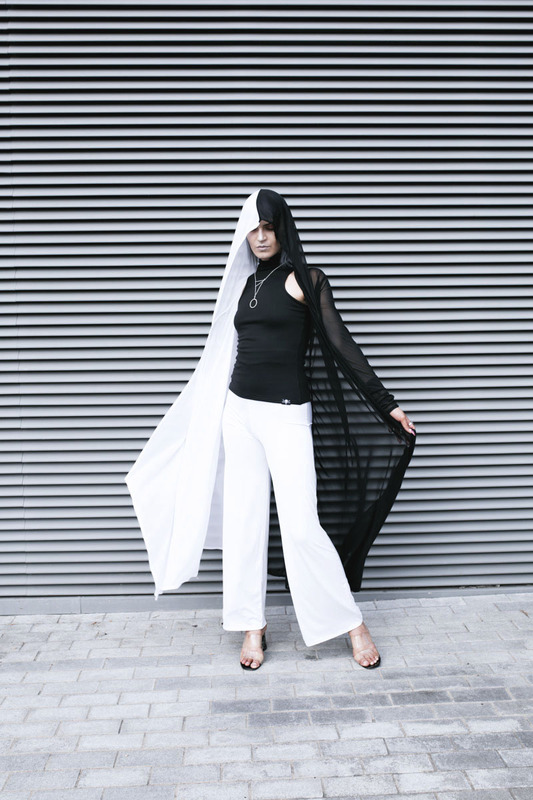 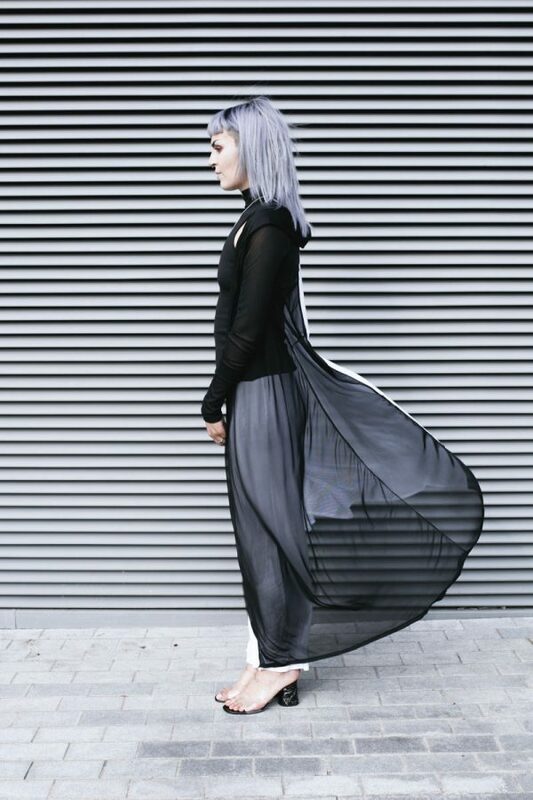 Our archive 2013 Velamen cardigan in half black mesh, and half white. 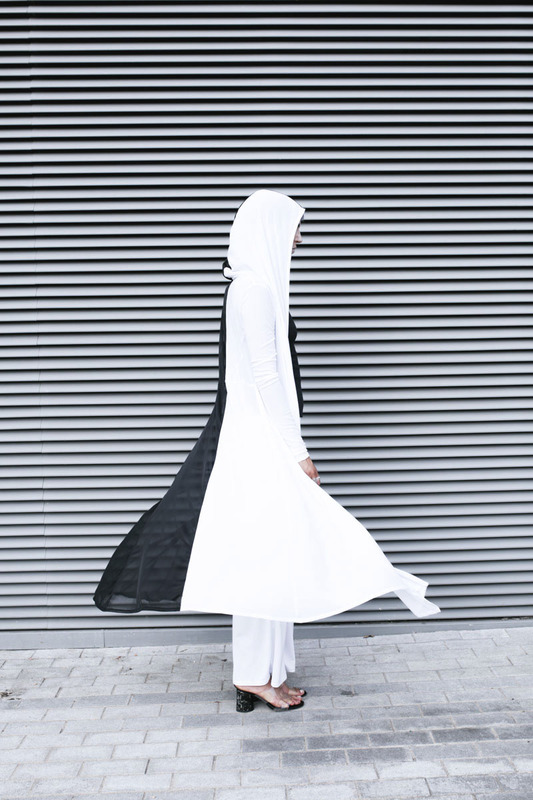 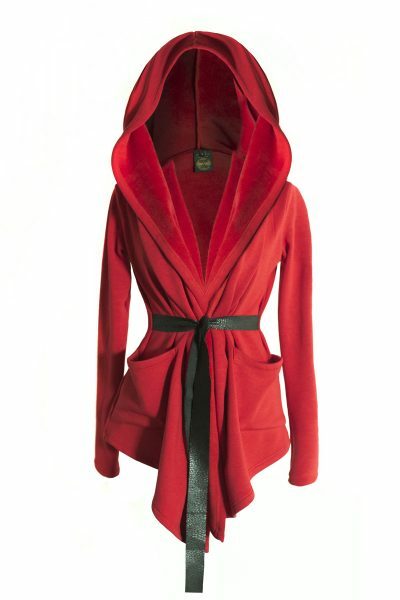 The garment measures 134cm from shoulder to longest point. 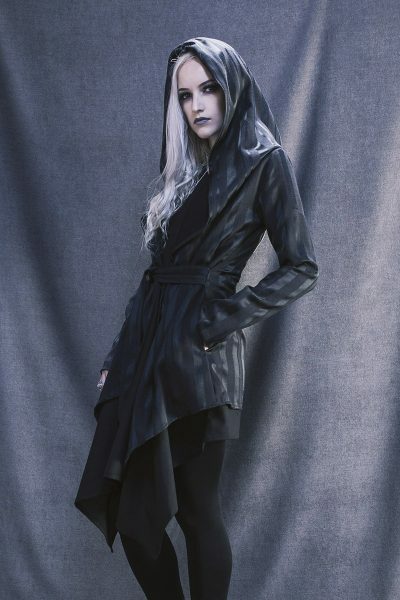 If you require a customisation to make it a little shorter to suit your height, add the ‘made to measure’ add on in the shop to your cart.